The following are National or Regional Art Societies where the aims and purpose are not limited to a particular medium or genre. This society is a bit different because it's a society of art societies. A number of the national art societies formed this organisation to enable them to collaborate for the purposes of promoting and exhibiting the art of their members and art education generally. It comprises eight of the UK’s leading art societies, specialising in oil, portrait, marine, wildlife, watercolour and pastel. NEAC was founded in 1886 because certain artists found the Royal Academy of Arts to be too conservative. Today, The New English aims to represent the very best of contemporary British figurative painting. Its annual exhibition is regarded as one of the premier open exhibitions of art societies in the UK. 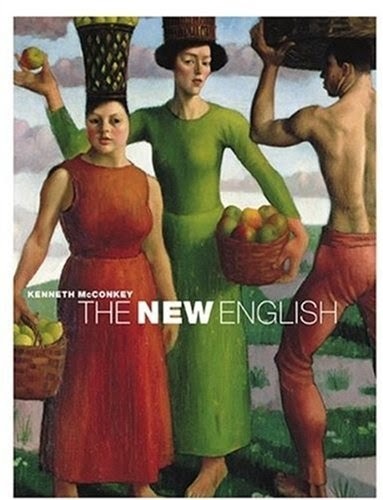 Read more about NEAC in The New English: A History of the New English Art Club(affiliate link). This book examines The New English Art Club (NEAC) within the context of the development of modern art in the UK. Artists such as Sargent, Whistler, Pissarro were more associated with impressionism than traditional painting. The United Society of Artists is a non-profit making organisation which aims to show high quality works of art at its Annual Exhibitions in Central London. There is no bias towards work of any particular school or medium. Do you know the art societies where you live - or visit? The aim of this site is to produce a comprehensive listing lists of art societies and art groups by media, genre and locality as a resource for both artists and art societies and groups - and art lovers. Can your art society website or blog communicate better? Want to highlight your art society? If you know of a UK-based art society which you think is worth including just leave a comment (at the end) including a note of the URL. It won't be picked up as a live link but it will be reviewed and if it's a genuine art society I'll add it to the list. an artist and writer - or is that writer and artist? a very well known art blogger, writing on Blogger since December 2005. She's the author of Making A Mark - rated #3 in the top 25 art blogs in the UK and somewhere in the top 10 in the world. This blog will highlight annual exhibitions by art societies in the UK in various ways. If your art society is having an exhibition you can send me the details (see the "Submit your Exhibition" Page) and I'll highlight the basic details on this blog. A blog has a feed - usually an RSS feed. All the blogs included below have an RSS feed which Blogger can pick up. LAS Spring Exhibition - with correct dates! OUR THIRD MEMBERS ONLY ONLINE JURIED EXHIBITION: IPAS 2017! ISBA Open Day – Raffle News! © Katherine Tyrrell 2015 Unauthorized use or inappropriate duplication of images or text without written permission is prohibited. Copyright is reserved on all images and text generated by Katherine Tyrrell on this blog and related / referenced sites. All spam blogs will be reported to Google and their website host ISP for copyright infringement. Copyright © Katherine Tyrrell and respective copyright owners. Simple theme. Powered by Blogger.